This is another quality product that we have to offer. 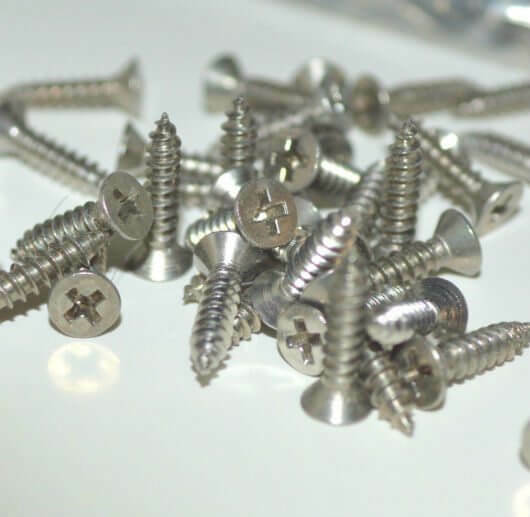 These are a ¼ inch long stainless screws made of high quality raw martial. We have put great efforts in designing these screws and we have make sure that they stand tall to expectations and can be utilized for different application. These flat headed screws are durable and will serve the purpose for long time. These ¼ inch screws score perfect in terms of quality and design both. Each pack consist 1000 pieces and priced $30, which is extremely reasonable. Whether you need screws for regular use or for intense professional works, our screws will serve in accordance with your need. The quality and extremely reasonable pricing makes this set perfect purchase. You can order the number of packs according to your needs and we will make sure that you get the pack(s) within the promised time. You can order as many packs as you want and we will fulfill your needs. #4 Stainless Flat head Phillips screws 1/4″ long. 1000 per pack.